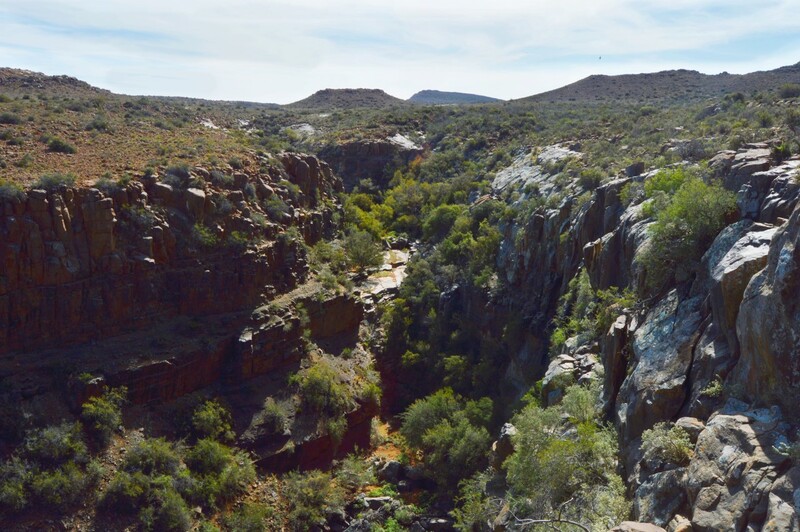 The Karoo National Park is surely one of the best-kept national parks in South Africa. In my youth, our family spent many a holiday in the area at a guest farm, and the recollections of these wonderful times popped into my mind outside Prins Albert Road on the N1… warm days, starlit nights and crisp mornings. 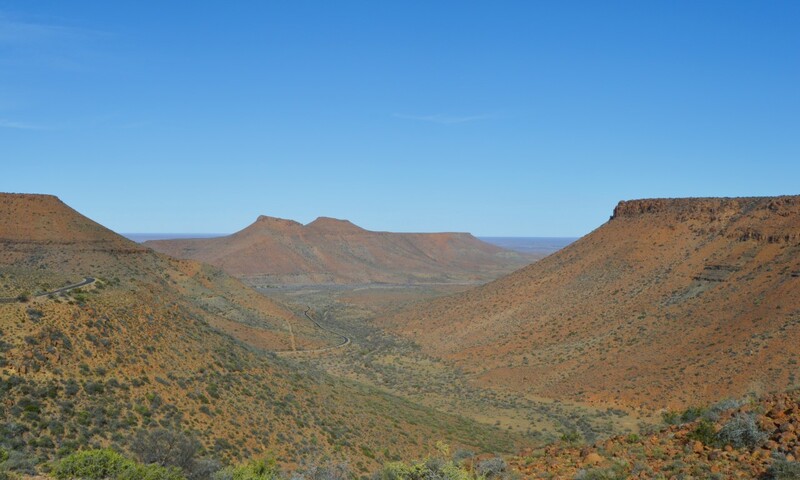 The Karoo is a place of arid beauty, solitude, mystery and history. 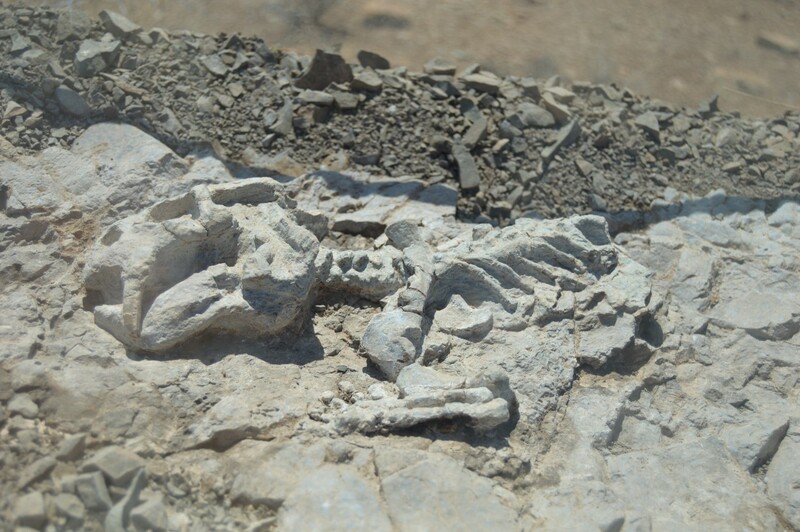 It’s where fossils lie dormant amidst the sandstone, slate and mudstone common to the area and wait to tell their story. It’s a place where chattering weaver birds are the soundtrack to your days, mingling with the cacophony of insect calls. This truly is the perfect place to rekindle a connection with nature and reset one’s clock, to put down the cellphone and laptop, forget about the television and internet, and just unplug and unwind. It is understandable why campers, caravanners and all types of travellers return time and time again to this beautifully maintained national park. 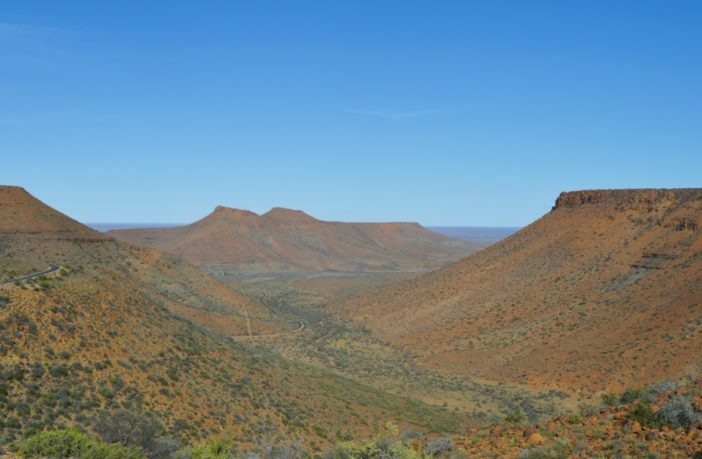 The formula is simply: find the perfect balance of the scenic Karoo surrounds and marry it to pristine accommodation offerings, spotless camping facilities and numerous recreational activities. The staff, right from Nico the Park Manager, to Gregory our insightful guide on this trip, to Timothy at the front office reception and the restaurant staff, are all upbeat and positive, quick with a smile. 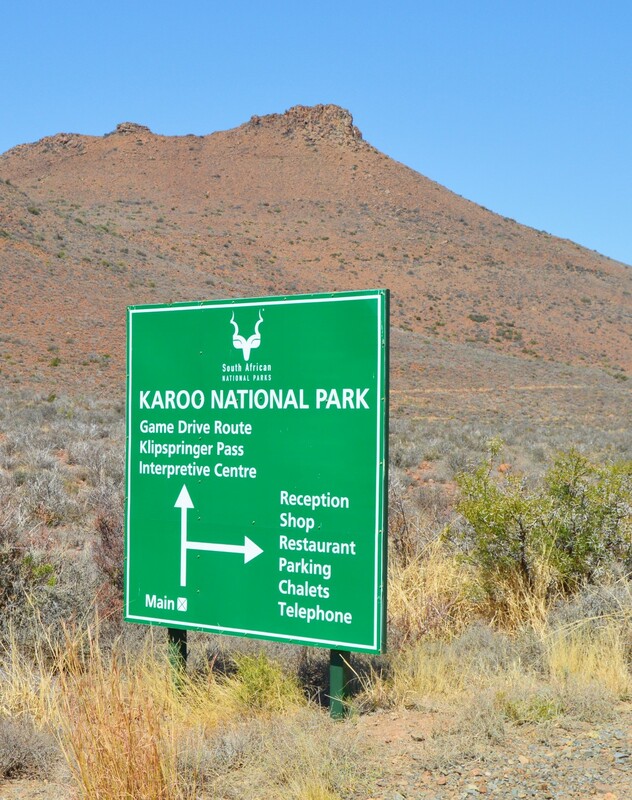 The Karoo National Park has numerous activities for holidaymakers such as 4×4 trails, guided game drives, self-drive game drives, guided walks, the self-walk Fossil Trail, bird hide, picnic facilities and much more to keep the whole family entertained. 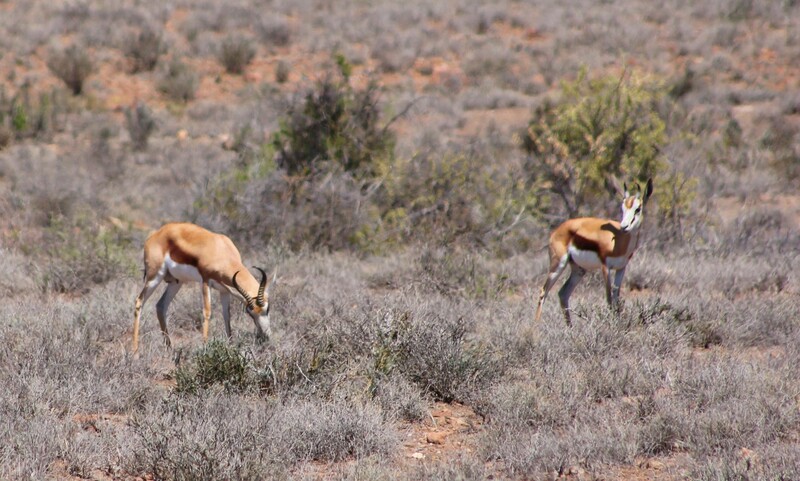 The wildlife in the park is abundant and includes mongoose, baboon, caracal, Aardwolf, Cape Mountain Zebra, Burchell’s Zebra, Rhebuck, Mountain Reedbuck, Brown Hyena, African Wildcat, genet and many others mammals and reptiles. 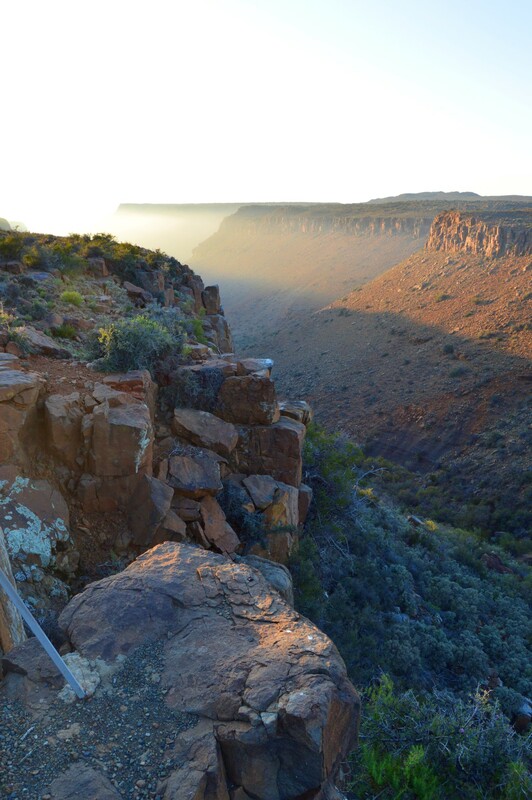 Self-drive game viewing options are available such as the picturesque Klipspringer Pass and the Rooivalle lookout point. Our dedicated guide Gregory offered us much insight into the abundant flora and fauna of the area. During our early morning game drive (approximately 3 hours, departure 6 am) one of the patrons on the open viewing vehicle spotted a lioness. After stopping the viewing vehicle it quickly became clear that the lioness was stalking a red hartebeest. We sat and watched from a distance as the lioness crept through the scrub in an attempt to go unnoticed. The red hartebeest must have picked up her scent or heard its approach and quickly darted away, with the lioness making a half-hearted attempt at giving chase. It wasn’t long before the lioness gave up and lay down in the morning sun to ponder the intricacies of stealth hunting, changing wind direction and the vagaries of camouflage. 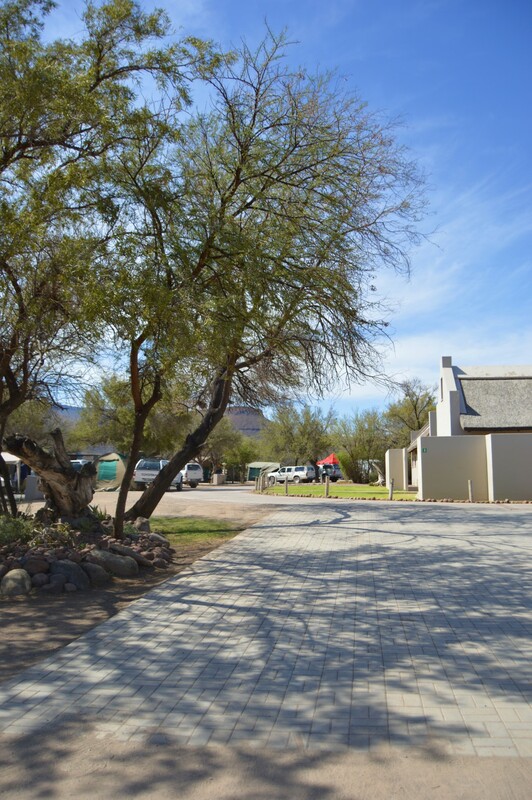 The Doornhoek Picnic Site is situated in the game area of the park and offers shaded braai facilities and clean ablutions for a snack stop during a game drive or a full braai out in the bush. 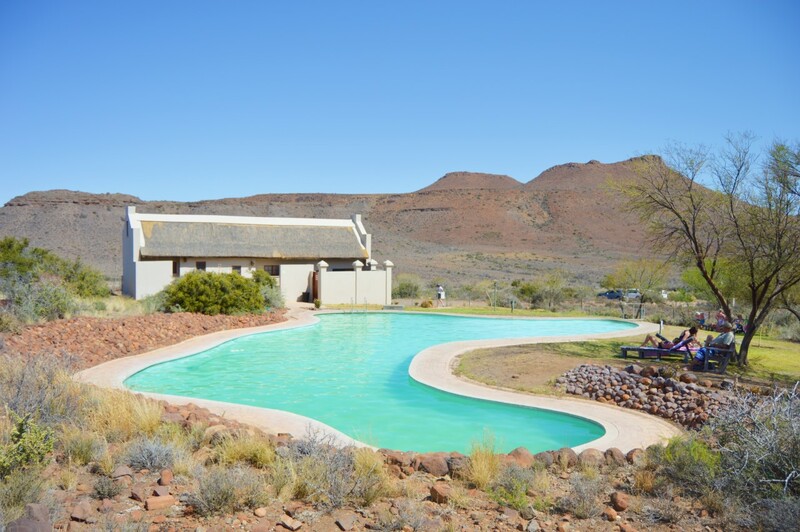 The Bulkraal Picnic Site, also situated in the main park, has braai facilities and a pool offering everyone respite from the dry Karoo heat. 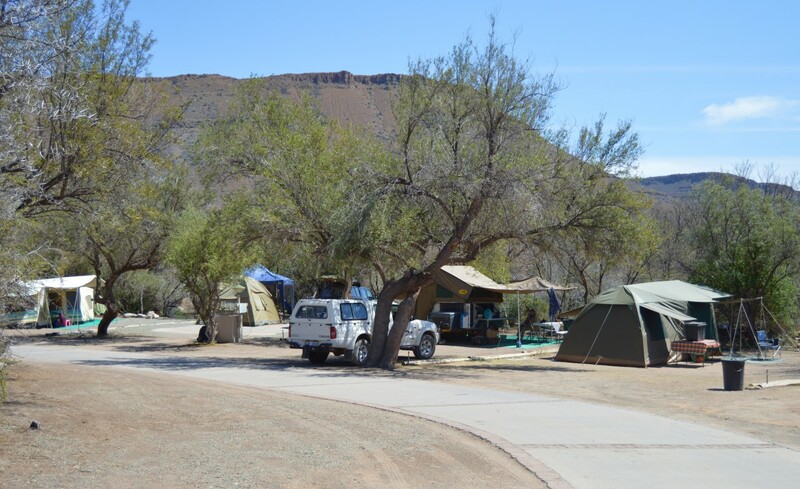 The fully enclosed campsite is a great destination for campers, caravanners and motorhome enthusiasts. The neat communal ablutions have showers and baths with hot and cold running water. Campers can relax at one of the 24 award-winning camping stands and take in the beauty of the surrounding countryside. Kitchen facilities are available at the campsite with stove plates and a scullery to make life easier for campers. 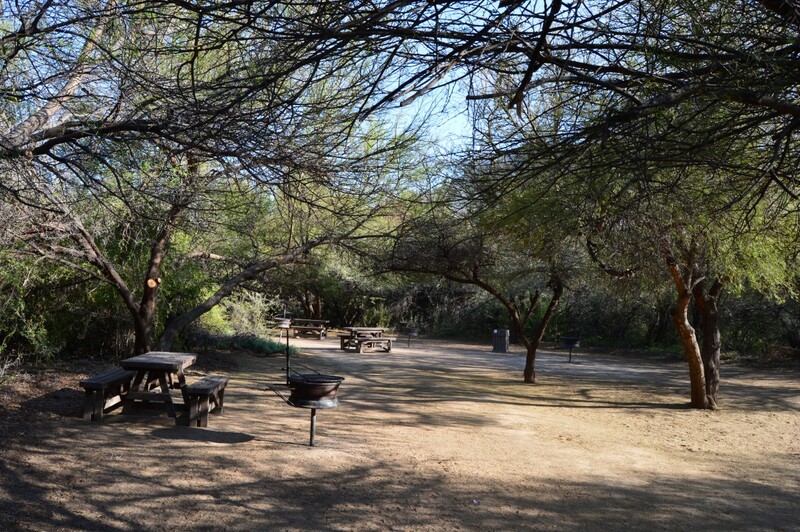 All camp sites are equipped with 220V power points and are clearly demarcated. 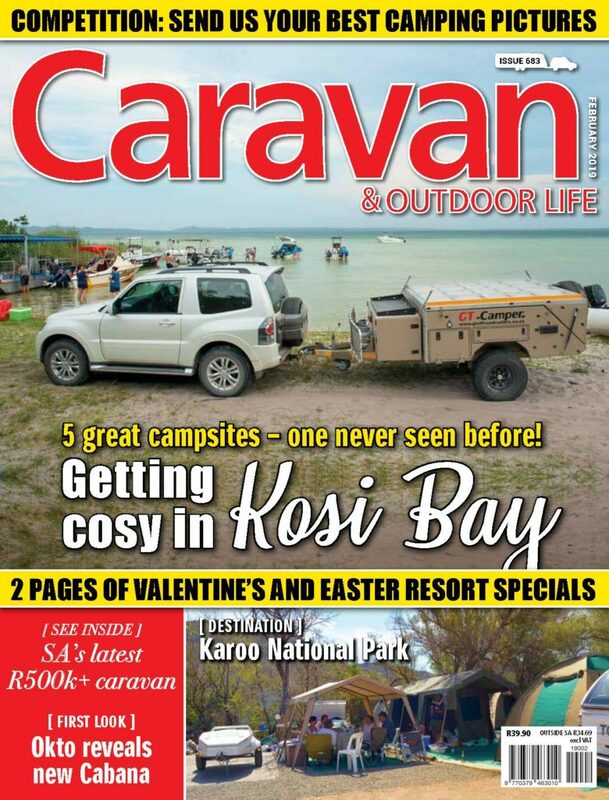 Each camp site stand allows for a maximum of six people with one caravan with a side tent and one vehicle, or one tent and one vehicle, or one motorhome per camp site. Laundry facilities are available (washing machine and tumble dryer) which can be operated with tokens available from reception. 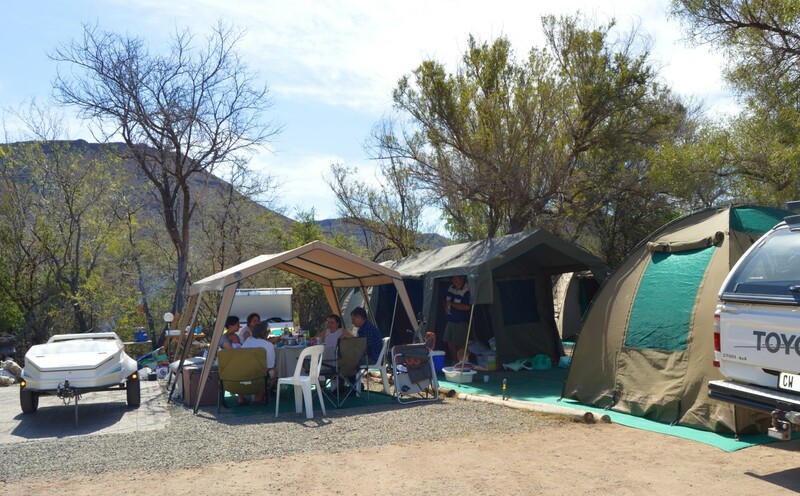 The campsite is set far within the Karoo National Park and this lends itself to complete seclusion and quietness, allowing holidaymakers a much needed break from the noisy hustle and bustle of everyday life. The only sounds you will hear when camping here are the chatter of the abundant birdlife and the crackle of the braai fire. A torch or headlamp is required when walking outside at night. Firearms are to be declared at reception. Bring a hat, walking shoes, sun block, camera and binoculars. Always carry sufficient water on walks. 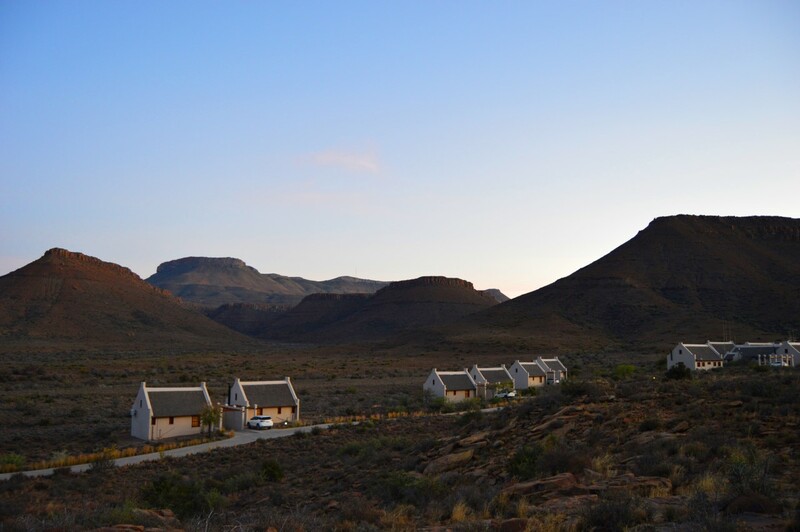 The neat Cape Dutch style chalets are all equipped for self-catering and serviced daily. The chalets are wonderfully appointed and the tiled floors keep the chalet much cooler than the ambient outside temperature, which can soar into the high 30s or even 40s during the summer months. Even though the chalets are nice and cool, they are fitted with airconditioning units in case the day is a real scorcher. The bedrooms have very comfortable beds and en-suite bathrooms with a bath, shower, hand basin and toilet. There is DSTV for those who need to catch up on a little sport and the built-in braai on the large stoep is the place to be during the evening. Here your relaxed mood can take in the ochre-tinted dusky hues of the setting sun as it paints a Pierneef-like canvas on the surrounding mountains. The views are incredible and, what’s more, breakfast is included at the à la carte restaurant for chalet dwellers. Besides the chalets, there are two cottages on offer to the public. The first is Afsaal Cottage, which is an old shepherd’s hut that has been completely upgraded into premium accommodation inside the game viewing section of the park. It can accommodate two adults and two children and the cottage is situated right next to a lit waterhole, offering excellent game viewing. The second cottage is called Embizweni Cottage and is situated 45 km from the main rest camp. 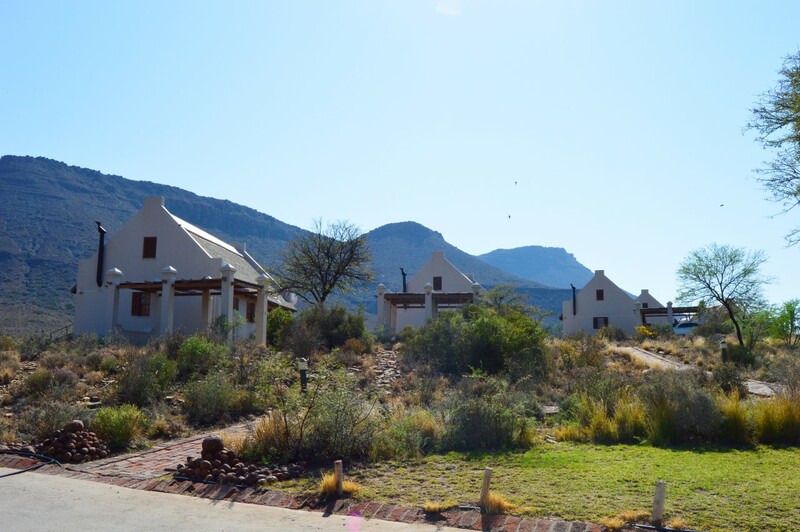 This self-catering unit is solar and gas powered, with a built-in braai on the stoep. It is also set next to a waterhole for those who want to get out their cameras and snap away. 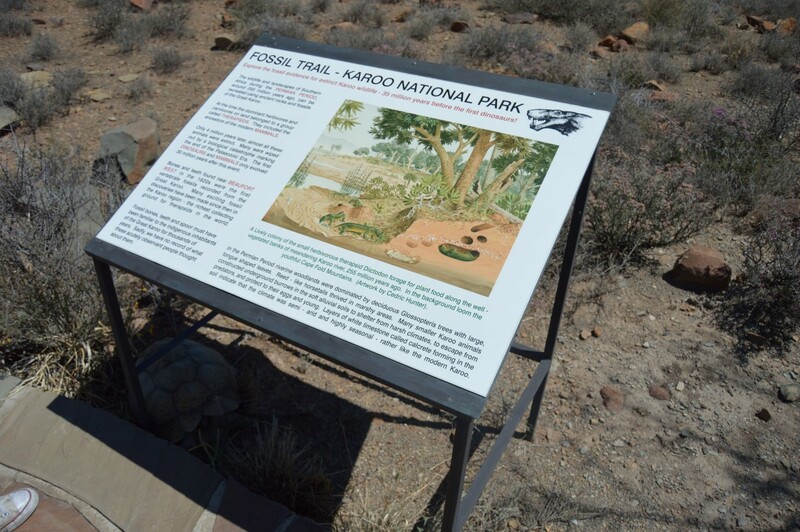 The Ou Schuur Interpretive Centre offers extensive information on the rich history, flora, fauna, geology, cultural heritage and ecosystems found in the area. 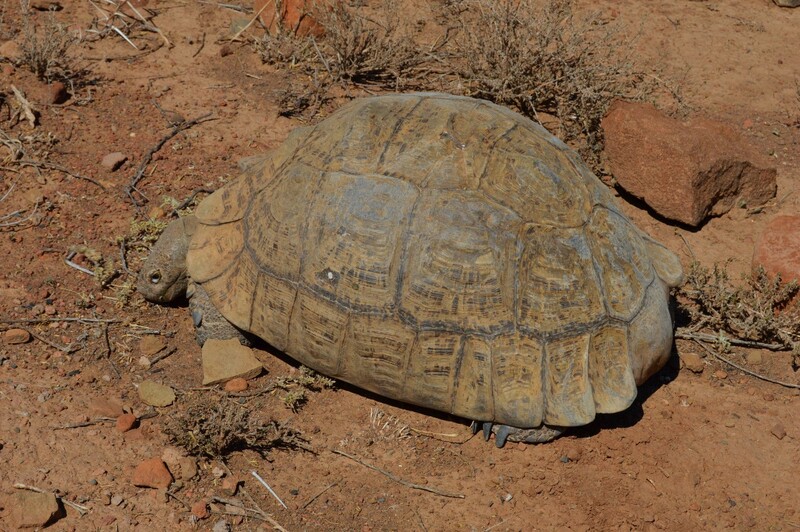 The Grantham Education Centre is situated about 40 km from the main gate and offers educational and environmental learning experiences for school groups who can stay overnight. This educational centre can house up to 50 people in nine bedrooms and has communal ablutions and a lecture room offering audio visual aids. It also has a fully equipped kitchen. Can one get tired of braais? I personally don’t think so, but if you do need a change from the traditional tjops en wors, pop in for some tasty fare at the restaurant, you won’t be disappointed. Before going to the restaurant though, take the time to read the interesting history about Sylvester the lion escape artist that can be found within the reception area. 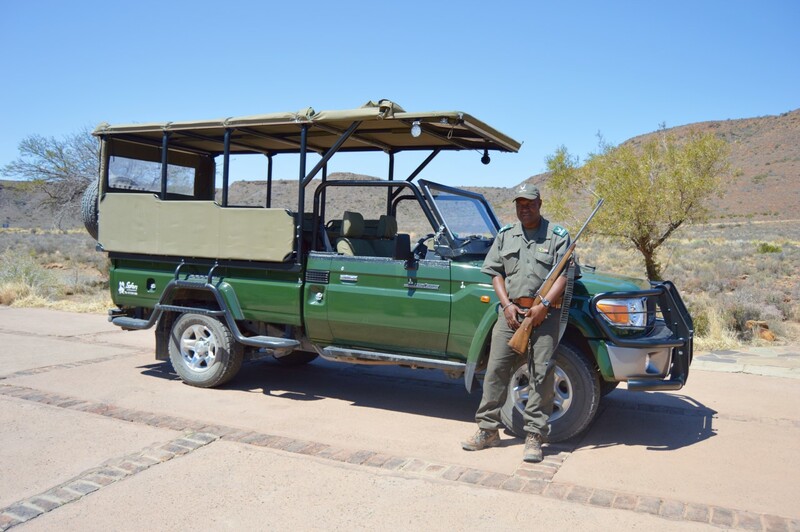 Sylvester is definitely the Houdini of the Karoo National Park with a number of successful escapes under his belt.